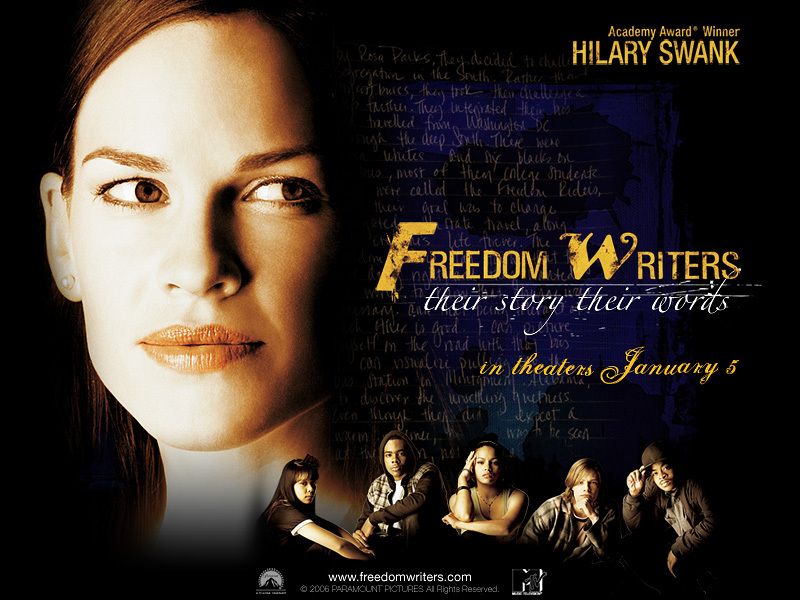 If you’re drawn to movies that touch your heart, mind and values – and demonstrate how one person can make a difference in the world – it’s hard to imagine a more powerful story than The Freedom Writers. In 1994 Erin Gruwell entered her first-year as an English teacher in Long Beach, California, with a cheery disposition and wide-eyed idealism. She was totally unprepared for the attitudes and behaviors of the group of students she’d been assigned to. They lived in a world of racial division, gang violence, drugs and broken homes. They were considered “unteachable” by other faculty members. The story draws you in immediately, as Erin, played masterfully by Hilary Swank, seeks to understand the fears and challenges that her students face every day. Her amazing commitment to reach these teens, including buying books and other resources out of her own pocket, changes their lives. Without spoiling the movie, in case you haven’t seen it, you’ll be amazed at the methods she uses to teach tolerance and courage…and the transformation these students undergo because of her leadership, guidance and personal concern for them. But the real story didn’t end where the movie does. 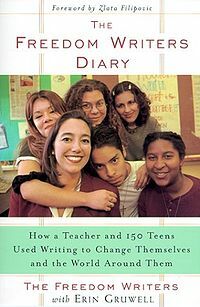 In 1999 The Freedom Writers Diary was published and received rave reviews. It contained entries from the students’ own diaries along with commentary by Erin. Later she used her experience to set an even more ambitious goal: to help teachers everywhere successfully reach students in similar circumstances. Today many of Erin’s original students work with her at The Freedom Writers Foundation. Its mission is to "change the educational system one classroom at a time by providing educators with transformative tools to engage, enlighten and empower at-risk students to reach their full potential." This young woman could have walked out of that classroom the first month in despair and frustration. And no one would have blamed her. She must have experienced self-doubt and lack of confidence at times. But instead of giving in to these feelings, Erin Gruwell became fiercely determined. She tapped into her creativity and passion to find a way to break through to these students. And in the end, she succeeded in helping them overcome the prejudice and violence that had pervaded their lives. Each of us has an opportunity to make a difference with the people whose lives we touch. We certainly face our share of adversity, even if it doesn’t include standing in front of a group of hostile teenagers. Whatever your situation, you can draw on your own creativity and passion to create a positive experience for the people around you. If you watch the movie or read the book, I bet you’ll be inspired to do just that. Fantastic blog entry! Enjoyed it so much! I appreciate your feedback, Jodi. Thank you!